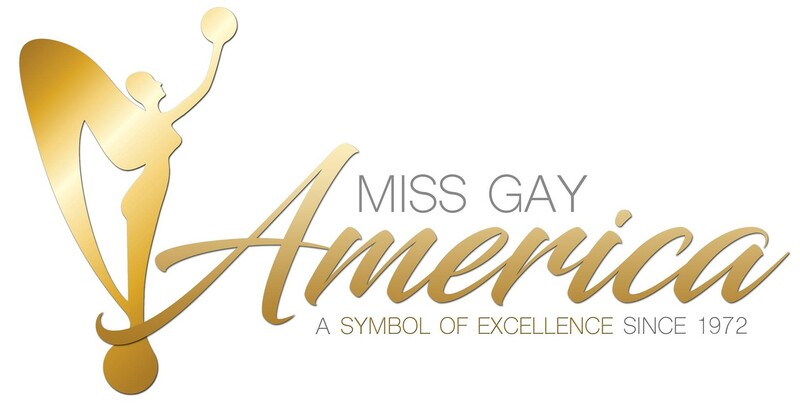 Miss Gay Arkansas America is a prelim to Miss Gay America. 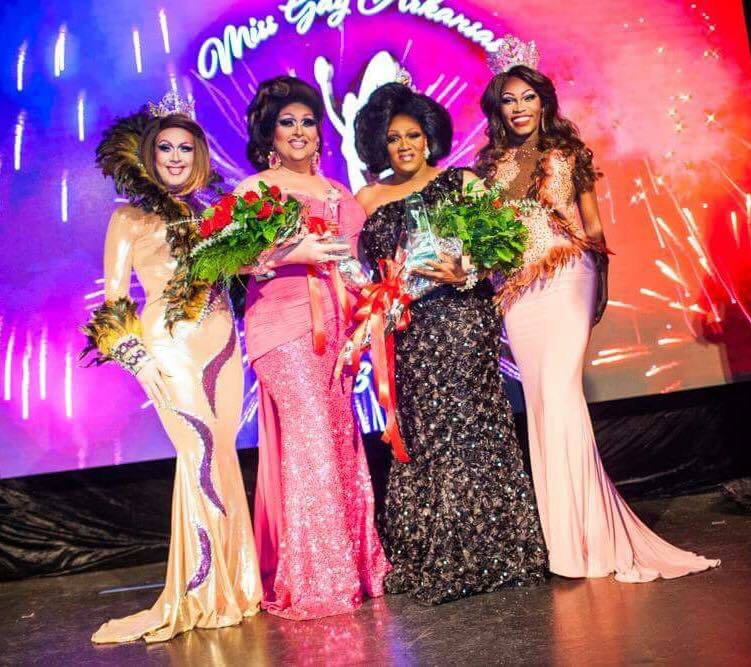 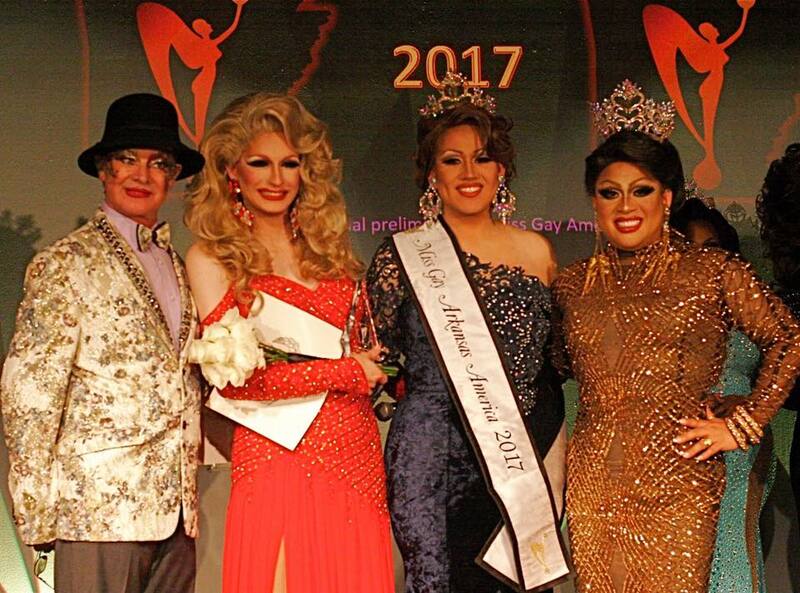 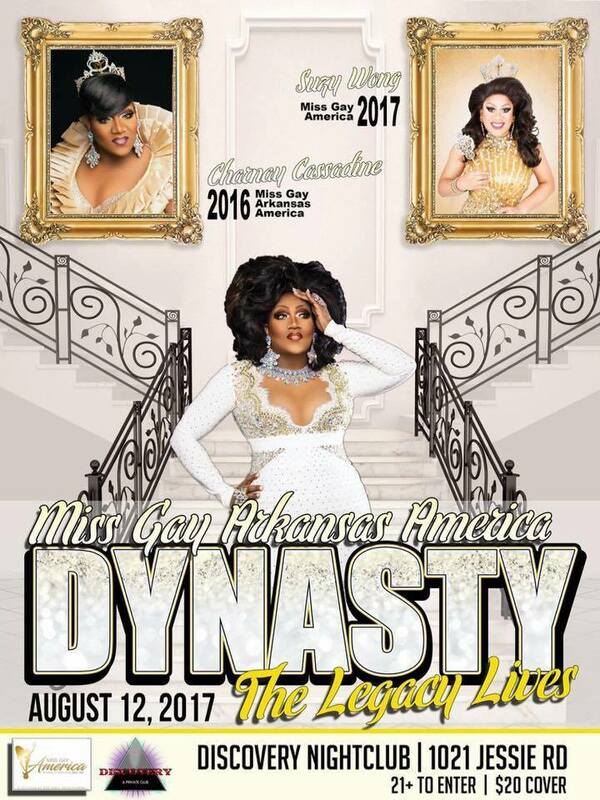 Norma Kristie (Miss Gay America 1972), Roxie Starrlite (1st Alternate to Miss Gay Arkansas America 2017), Cassandra Rae Reality (Miss Gay Arkansas America 2017) and Suzy Wong (Miss Gay America 2017) at the Miss Gay Arkansas America pageant at Discovery Nightclub in Little Rock, Arkansas on the night of August 12th, 2017. 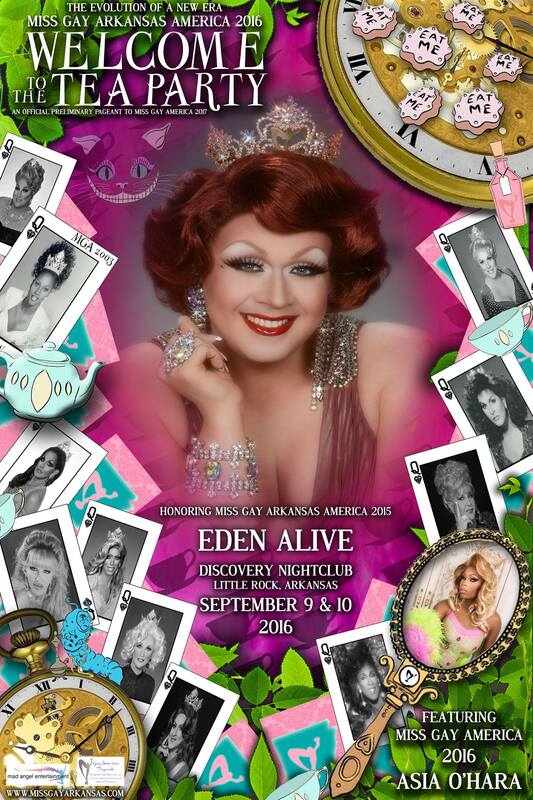 Eden Alive (Miss Gay Arkansas America 2015), M’Shay Victoria Foster (1st Alternate to Miss Gay Arkansas America 2016), Charnay Malletti Cassadine (Miss Gay Arkansas America) and Asia O’Hara (Miss Gay America 2016) at Discovery Nightclub in Little Rock, Arkansas on the night of September 10th, 2016.